Napa, CA – The Napa Valley Vintners (NVV) has joined the world’s premier culinary college by pledging $1 million over 10 years to support The Culinary Institute of America’s (CIA) new Copia campus in Napa. The CIA will name its state-of-the-art wine tasting and culinary demonstration theater at Copia in honor of the NVV. 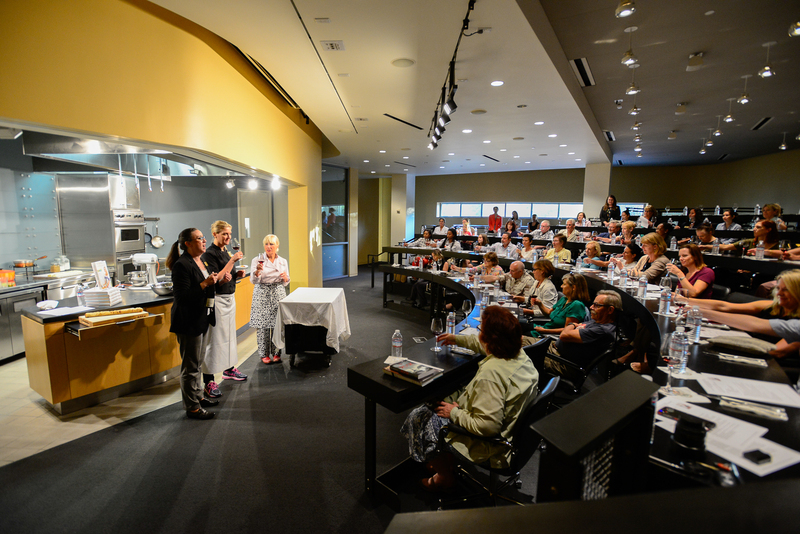 Offering daily programs starting this fall, the Napa Valley Vintners Theater will bring together acclaimed vintners, chefs, visiting scholars, educators, and food and wine leaders who shape the industry for compelling and thought-provoking programs. “The Culinary Institute of America is honored to have partnered with the Napa Valley Vintners in pursuit of excellence in wine education over the past 20 years. We look forward to continuing this partnership at the CIA’s Copia facility and beyond,” said Thomas Bensel, managing director of the CIA’s California campus. The CIA and NVV have a history of collaboration dating back to the opening of the Greystone campus in St. Helena in 1995. The organizations partnered on the launch of the Greystone wine programs, NVV supported the Napa Valley Vintners Sensory Classroom at the Rudd Center for Professional Wine Studies, and the NVV and CIA are longtime sponsors of the Symposium for Professional Wine Writers. When it officially opens this fall, CIA at Copia will quickly become a focal point and gateway to the Napa Valley for wine and food lovers from around the world. Visitors will soon be able to enjoy wine tasting experiences, culinary demonstrations and classes, world-class dining, shopping, community events, and more. Napa Valley wines will be featured in ongoing educational programs and in a new tasting experience in the atrium of Copia. The NVV will also host many of its trade, consumer and member education programs at the facility. Photo 1 (top photo): The Napa Valley Vintners.